Recently, I read The Great Escape: A Girl’s Guide to Leaving a Marriage by Lisa Thomson. As you might have guessed by the title, The Great Escape provides a lot of hints and tips for women looking to start a new, unmarried, chapter of their lives. I found the book to be both relatable as well as informative. Lisa, thanks for taking some time for an interview with Relative Evolutions. 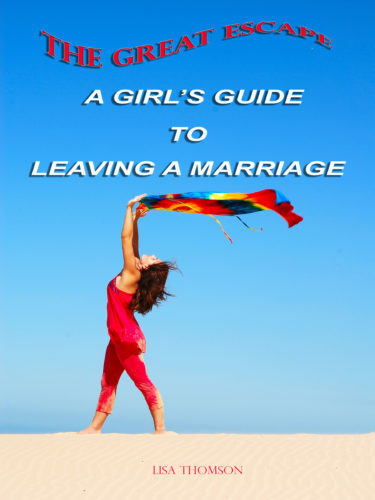 Your book, The Great Escape: A Girl’s Guide to Leaving a Marriage is the perfect blend of your own experience coupled with information about what to expect, vocabulary lessons and recommendations for relief. I think it’s a great companion piece for women navigating a separation. Before we dive in to the matter at hand, can you tell the readers of Relative Evolutions a little bit about yourself? I was married for 18 years and was a stay at home mom after the birth of my daughter. After my separation and trying to put my life back together, I returned to the University’s ‘Faculty of Extension’ and pursued a certificate in Residential Interiors. During that time I penned the self help guide, The Great Escape; A Girl’s Guide To Leaving A Marriage. I live in Vancouver, B.C. Canada. I write for Divorced Moms and Huffington Post Divorce. As well, I am currently editing my short story collection, The Icing On The Cake. The collection of stories explores relationships, love and loss. When I’m not writing I love to paint, go to yoga, enjoy wine and explore the beach with my Beau. I’m also a fan of yoga and the beach! But let’s talk more about The Great Escape. At what point did you start writing the book? When you were in the trenches of your process, did you know you wanted to share your story? Actually, it was in the middle of my divorce that I began writing ‘pieces’ and realized it could be a resource guide for women starting the process. I began taking excerpts from my journal as well and combining it with ‘tips’. I realized I wanted to share my story about 3 years into the process. I began with an outline and worked from there. Prior to your divorce, you seemed to have the kind of lifestyle many people dream about. You had an abundance of luxury, comfort and convenience. What did you need that you weren’t receiving? That’s a great question and the answer really speaks to the heart of the problem in my marriage. I was missing intimacy. I was missing full acceptance of who I am, the real me. I was missing love. I think many of us can relate to that. I certainly experienced a lot of *feels* as I read the beginning of The Great Escape. As you moved forward, what was the hardest part of your divorce process? The hardest part was co-parenting. I wasn’t prepared for the friction and games that were involved. I naively believed my ex and I could remain friends but what ensued was a kind of battle I hadn’t expected. That battle extended to our parenting time. It also brought out the worst in both of us. Secondly, I’d have to say the legal process of the divorce. It was protracted and complicated with some of the business issues that were involved. What was the most rewarding thing that came from your divorce? The most rewarding thing that came out of my divorce was my independence. It was my freedom to finally be myself and to live without constant scrutiny and criticism. In the book, you talk about Parental Alienation, what’s the number one piece of advice you’d give a parent who’s been alienated from his/her children. The Great Escape: A Girl’s Guide To Leaving a Marriage, challenges the notion that women should stay in an unhappy marriage. The book takes the reader on a journey starting with taking stock of your marriage, to starting the process of divorce, to enduring the inevitable social changes. My #1 piece of advice is to ‘never let go of your children’. It is very painful but the reality is that if you let go, then you risk a complete break. The only time I suggest letting go, is when you’re suffering so much that your health and happiness are jeopardized. Your path through divorce was pretty rough. Can you share one or two little triumphs you experienced along the way? How did you find the motivation to keep going? One of the triumphs was writing the book. In fact, it empowered me to get through some tough phases. My motivation came from the support of a few good friends and a good therapist. I also, eventually found the love and support of a good man (who I am still with today). Has your experience changed your view of marriage? Yes, indeed it has. It’s easy to ‘get married’ but very difficult to ‘get unmarried’. Even so, I think marriage is right for young people who want to start a family and are truly in love. I don’t feel it’s something I need to try again. Because your ex worked for your family business, you experienced some unique conflicts as a result of the separation. What advice do you have for those who aren’t close to, or don’t have the full support of their family? Find family where you are. Recognize the people in your life who are providing unconditional support and don’t ever take them for granted. It’s a rare human who is capable of that kind of love and support and they may not be blood related. How’s your relationship with your ex and children now? My relationship with my children is actually really healthy, strong and loving. We have overcome quite a bit of conflict together. The conflict hasn’t necessarily been between us but it has been around us—if that makes sense. We have grown through this together. We have an honest communication going but it’s not perfect. We are long distance and sometimes I fear I’m missing out on the daily grind with them. However, that said, we really make the best of our time together. They come visit and I go to them, plus we plan special trips together periodically. They are 21 and 23 now so have established their own lives. I’m certainly very proud of them. I don’t have a relationship with my ex. If something comes up regarding the children we communicate through email. When you began this journey, you were a full-time mother and wife. You’ve come a long way since then. How does it feel to let go a little and embrace yourself more fully? It feels amazing. Honestly? That has been the best part of the divorce process, is embracing my authentic self. It’s a process though and not always an easy one. The difficulties and challenges are worth it though—the reward is living a more authentic life. I couldn’t agree more about the rewards of living a more authentic life after divorce. I think that’s a benefit for all of us, whether children are involved or not. Thanks so much for sharing your story, Lisa! Posted in divorce, family, marriage, media and tagged author interview, children of divorce, divorce, intimacy, life after divorce, Lisa Thomson, love, motherhood, Parental Alienation, separation, The Great Escape. 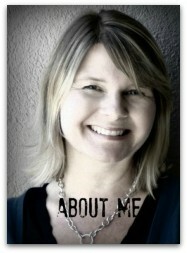 Hi Tara, thanks for inviting me over to your blog and sharing information about my book. Cheers! Thanks For sharing your story to help others along the way.